made at the Battle of Vimy Ridge 100 years ago. 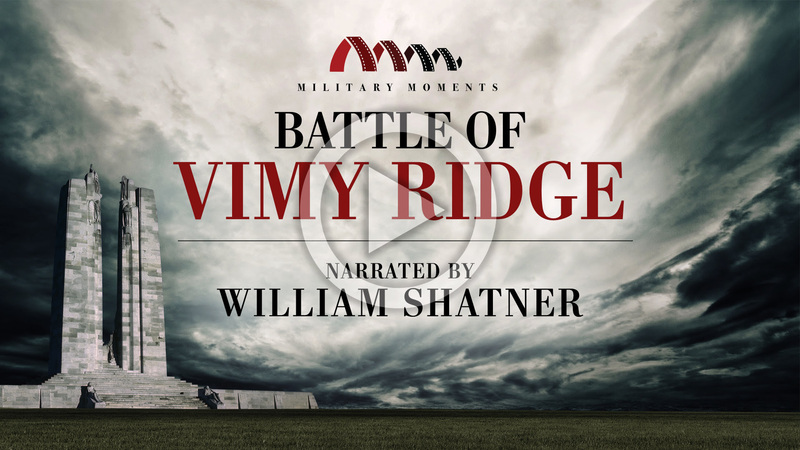 Narrated by William ShatnerTo commemorate the 100th anniversary of the Battle of Vimy Ridge, Legion Magazine, Canada’s Ultimate Story and William Shatner tell the story of this important First World War battle. 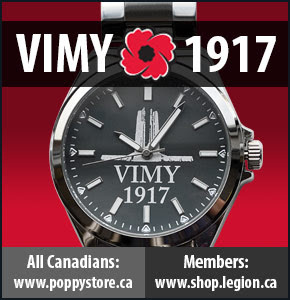 Our victory at Vimy was a defining event for Canada. 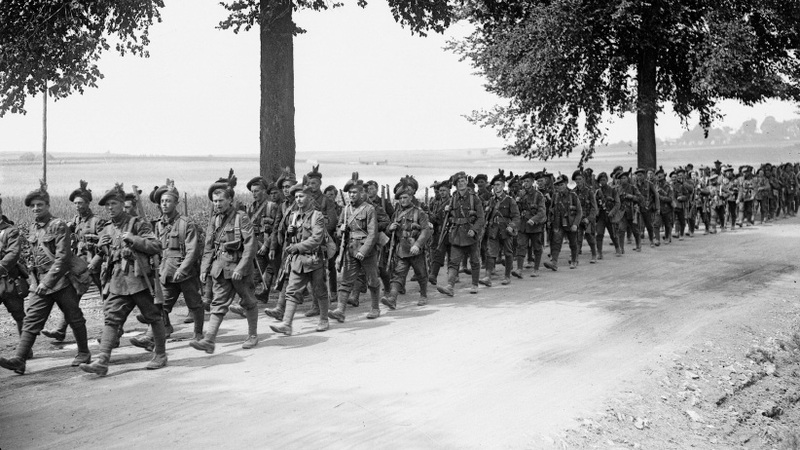 On the 100th anniversary, we revisit the Canadian triumph over the German army and explore why the battle has come to signify the birth of our nation. This entry was posted in Legion Magazine, Vimy Day and tagged Legion Magazine, Vimy Day on April 9, 2017 by Michael K. Barbour. Tomorrow is the 100th anniversary of the Battle of Vimy Ridge. Below is a news article that appeared in McLean’s magazine last month about the battle and its impact. 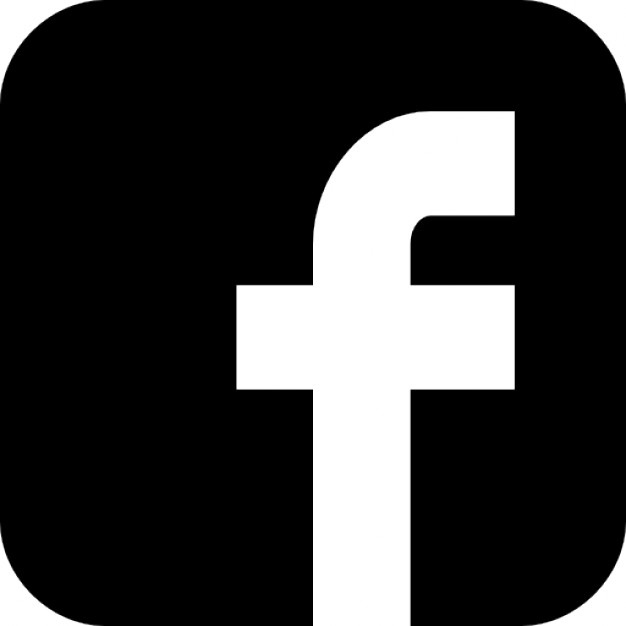 Read Maclean’s and 150+ more magazines on Texture. 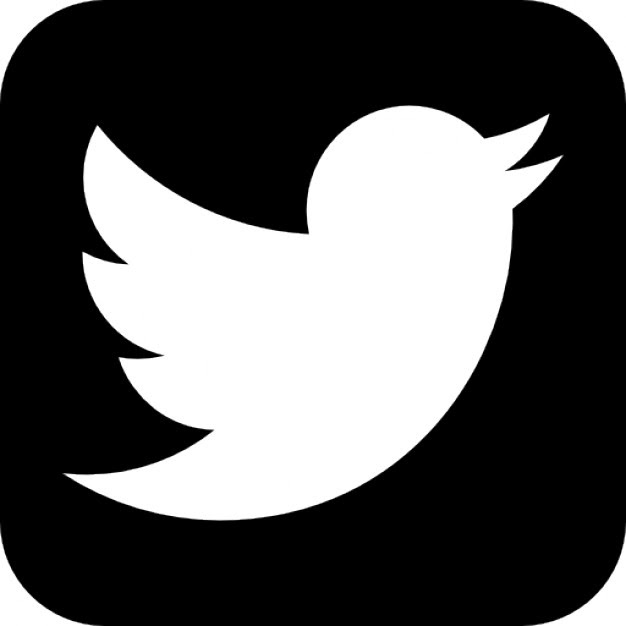 Start your free trial today. 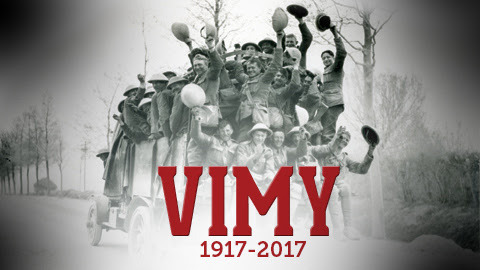 This entry was posted in Vimy Day and tagged Vimy Day on April 8, 2017 by Michael K. Barbour. 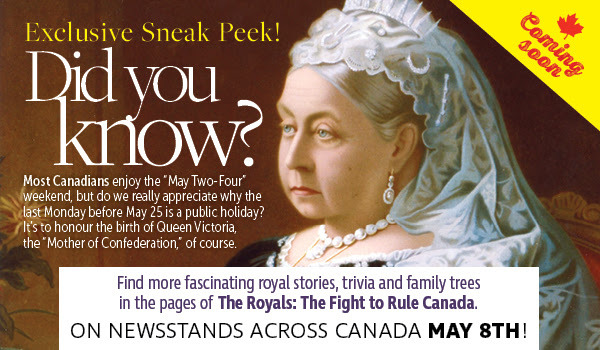 Note this feature on Vimy Ridge from the Canadian Broadcasting Corporation. 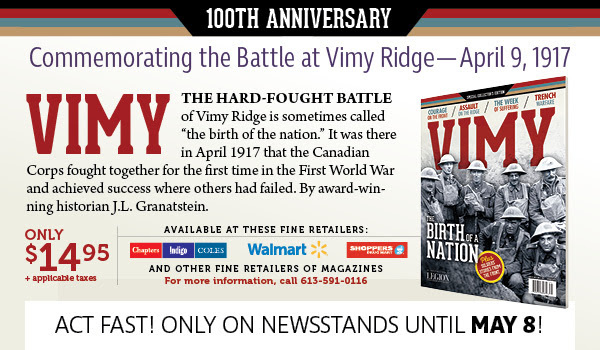 One hundred years ago the Battle of Vimy Ridge began. It has been called Canada’s coming-of-age moment. CBC News partnered with Google to tell Canada’s Vimy story in a new way. Go with Peter Mansbridge into the tunnels of Vimy in our 360 documentary, then explore the memorial as it looks today in a series of 360 photographs. 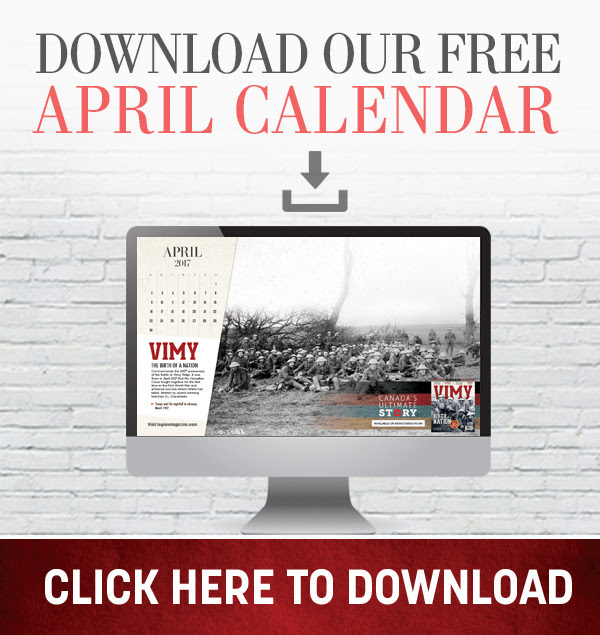 This entry was posted in Vimy Day and tagged Vimy Day on April 6, 2017 by Michael K. Barbour. 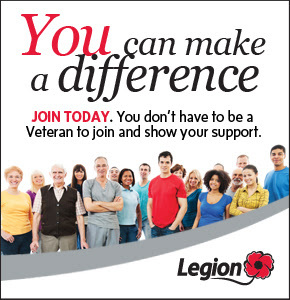 This entry was posted in Legion Magazine, Vimy Day and tagged Legion Magazine, Vimy Day on April 4, 2017 by Michael K. Barbour. 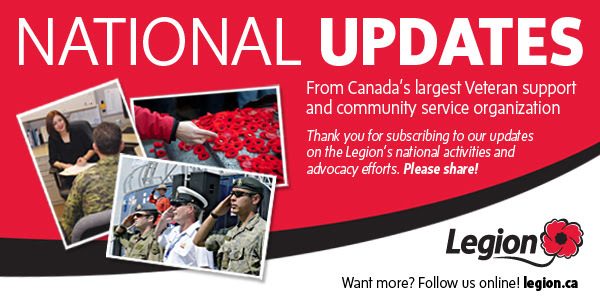 From sunrise to sunset on Sunday, April 9, the Legion will join federal, provincial and municipal institutions in lowering the Canadian flag to commemorate Vimy Ridge Day 2017. This entry was posted in Dominion Command, Vimy Day and tagged Dominion Command, Vimy Day on April 3, 2017 by Michael K. Barbour.